Welcome to my Website Service Page. 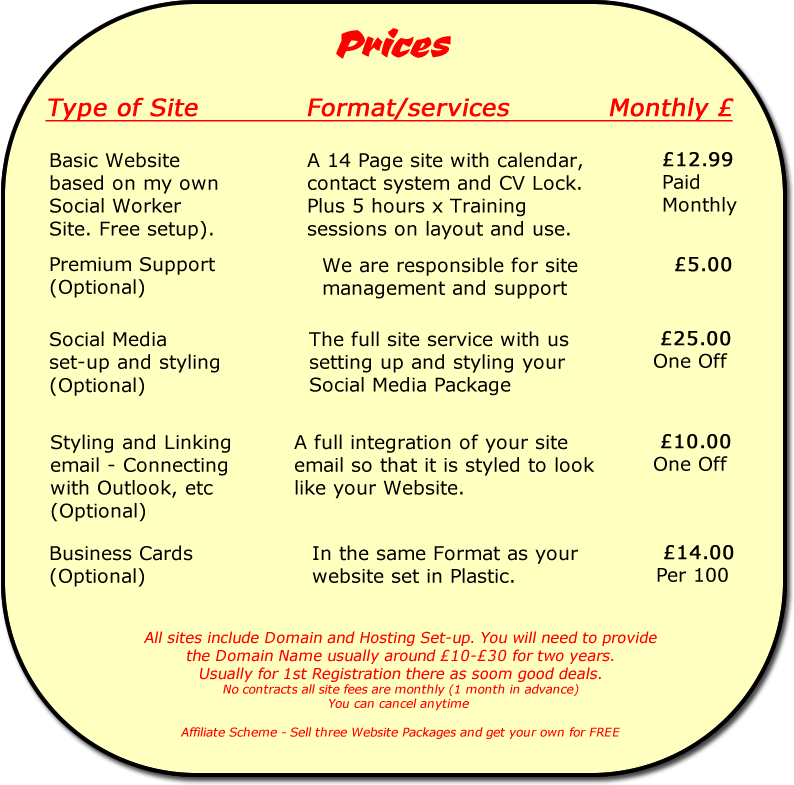 As well as working as a self-employed Social Care worker, I am a self taught web developer, and the designer/manager of this website. 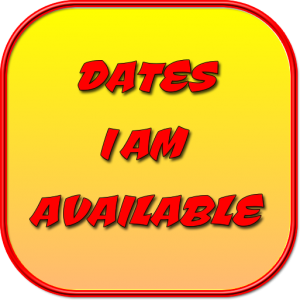 If you are a sessional worker, work for an agency or like me self-employed in the Social Care industry having a website like this can help you gain more quality work, and also support you with keeping track of bookings and work loads. You CV is kept on the site as a PDF, which with your permission is available to view and print by the people responsible for maintaining your work contracts. The CV is locked away from normal users of the website and it will require a secure password to see it. 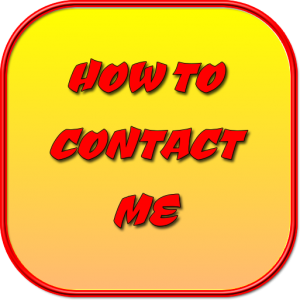 The site comes with an email formatting session to make everything look the same and we can also do the same for your business cards. The cost of this is £9.99 a month which includes site updates. (The minimum contract is for 12 months at £12.99, and early cancellations will be subject to paying for the outstanding amount of the contact, either in full or at the £9,99 month rate until finished). Once the 12 month period has expired then the contract and payment basis will be on a floating monthly basis. 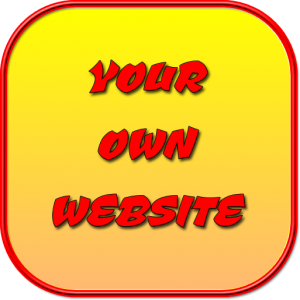 There is no setup fee, and it will take around seven days for the site to be ready for use.